and with good reason. 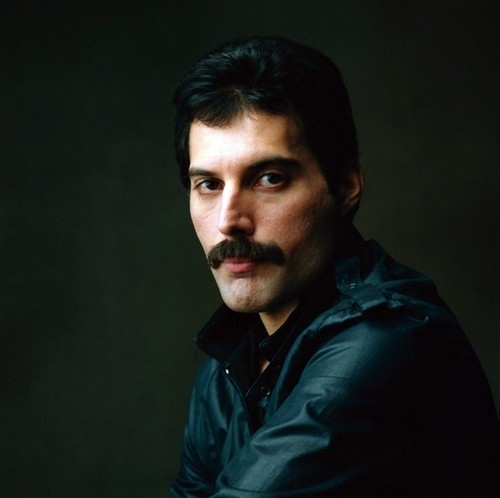 On 5th September, it would have been Freddie Mercury’s seventy-first birthday. I get it still IS but it makes me wonder, were he still with us, what he would make of music. I guess he would have got involved with the talent shows. I don’t think he would have objected and, if anything, might have been keen to be a judge. He would have been great cutting bad singers to size and inspiring the genuinely promising. Something bigger would play on Mercury’s mind: the tepid barometer and lukewarm temperature of modern singers. There are a few big voices on the scene but they come along so rarely. We have just seen a new single from Björk and, although it is not a hugely bombastic song – it shows what an intricate and nuanced voice she has. In terms of those dramatic and semi-operatic singers – one wonders where they are these days. Florence Welch, I understand is preparing new Florence and the Machine material. She is someone who always brings a sense of theatre and captivation to her tracks. In terms of male examples, the mind does struggle for answers. I guess Freddie Mercury remains that unique and unbeatable performer. That is why I love him so much: he is a performer above all else. You get the sense, with so many singers, they are going through the motions and unable to fully articulate the complexities and heights music can provide. Their songs are relatively simplistic and, if they demand an extended histrionic range, many struggle to come up to the mark. Mercury, when faced with any material, would kick the hell out of it! Before I come to look at Mercury’s singularity and influence; we have all been hearing about the upcoming Queen biopic, Bohemian Rhapsody. Named for their best-known song, it features Rami Malek stepping into Mercury’s shoes. Many might recognise the actor from the series, Mr. Robot but, for the most part, he remains unknown to many. Pictures and clips are capturing the actor immersing himself in the guise of the departed legend. It seems he is a natural adopter of Mercury’s tics, mannerisms and movements - able to project the same gusto, imagination and electricity. This is pleasing because, as we know too, there have been problems with the production. Sasha Baron Cohen was due to play Mercury – and is perfect in appearance and stature – but was not happy with the way the script looked (such diva-like behaviour hardly befitting of Freddie Mercury film!). Maybe they were concentrating too much on various areas and aspects of Mercury’s life – Baron Cohen feeling uneasy with the concept and representation. There wasn’t complete faith from the other members of Queen so it might not have been the most conducive and harmonious set. Malek seems like a better fit and prepared to castigate any doubts and artistic differences and embrace Mercury’s spirit. I am not sure whether Malek is tackling vocals himself but it will be interesting to see what he does in the role. I am a bit sceptical about biopics because they fail to truly and authentically represent an artist – and can seem rather glossy and fake. I know many have been hankering for a Freddie Mercury biopic but there will be nerves seeing where the focus is and whether Malek fully embodies the complexities and physicality of Freddie Mercury. The best thing about the film is it revives some classic Queen songs and puts the spotlight on an artist who, nearly twenty-six years after his death, still enthrals and captivates. His AIDS-related death shocked the world and many were surprised he deteriorated so rapidly. The fact he announced the disease a few hours before his death was always going to create a shock. He would not have wanted speculation and tabloids surrounding his bed. He was sick and knew he was going to die. Exposing the intimate and upsetting details to the public was not right and, rightfully, Mercury did not mention his disease to the world. Maybe the ignorance and lack of AIDS awareness means Mercury’s death was not wholly unexpected. There is more awareness now and, whereas AIDS is not a death sentence; it does still exist and it can be argued Mercury’s case put the disease into the forefront – more people aware of its dangers because of his death. It is tragic what happened and how Mercury’s life ended. That said; he was living each day as fully as possible and promiscuity, a sense of recklessness and abandon was part of his personality. It is interesting – as interviews show – Mercury was quite a reserved and shy figure away from the stage. His extravagance and flair was part of his stage personality: away from that, he was grounded, private and enigmatic. There was a sharpness and catchiness at time but plenty of cheekiness, fun and quotability. His humour and honesty was refreshing back then: today, it would be the subject of daily tabloid scrutiny. It is rare finding a true personality anywhere in music right now. Mercury seemed less of a nonpareil back then and would be alien in today’s climate. Assuming he would be making music in his seventies; how would the world react to a creature as beguiling and counterculture as Mercury?! His voice, one speculates, would be more mature and calm; powerful and extraordinary but less broad and powerful as once was. There are so many memories that stick in my mind when thinking of Freddie Mercury. My earliest, when I was very small, would have been his set at Live Aid in 1985. When Queen took to the stage; they were in front of thousands – televised to a T.V. audience of millions. That kind of event would be unlikely in today to have such a huge-scale concert take place but, back then, the sense of expectation and nerves would have been immense. Not that one would notice from Mercury who, in typical fashion, provided a dazzling, audience-uniting set. Listening to him singing Radio Gaga - when he got the crowd to engage in a mass call-and-response – shows what a hugely innovative and towering performer he was. No fear or nerves that day: a man taking to the stage and holding the world in his palms. The set was so huge and memorable it threatened to undermine and overshadow every other performer that day. The fact Live Aid was the chance to bring the biggest stars together and raise awareness of poverty in the Third World. It was not about one act but, such was the gravitas and immensity of Freddie Mercury’s performance, it remains in the memory longer than anything else. That set was typical of a man who was born to take to the stage. Most artists like Mercury – a free-flowing bird who was at his finest in front of an audience – would feel caged and constrained when in the confines of the studio. Even though there were disciplinary restrictions in that environment; Mercury was able to extol some control and theatricality in the room. I remember watching a video when the band was recording One Vision. The lyrics went through various machinations and the overriding takeaway was Mercury being involved in every stage of the process. Each take had different nuances and qualities and the lyrics, whilst a little trite and faux-philosophical, allowed Mercury to indulge his full range. It would be good to see every Queen song filmed and documented as it would have provided historians and music-lovers the chance to unveil a superb talent and how his performances assembled themselves. A few magazines have run features that isolated Mercury’s vocal on Under Pressure. The fact he was going toe-to-toe with David Bowie – and HIS is the vocal celebrated and elevated – shows what an artist he was. He was not trying to outshine Bowie (nor was he given more time and lines) but he attacked the song in such a manner it stunned people. I have always found it hard to bond with Queen songs because they are not the sort you come back to time again. There is campiness to them but that is never an issue. To me, the lyrics lacked depth and there was not a lot of real substance. Many people are off-put by Queen because they got all the attention they did and, to many, did not warrant it – magazines like Rolling Stone, for instance, hated the band for long periods. Some see them as throwaway but one cannot deny the fact the reason for their success is down to Mercury. Not only did he pen some of their biggest hits – including Bohemian Rhapsody – but he brought a new sensation to every song. So many singers repeat themselves and seem rushed when releasing music. Even the titanic voices of today get into the habit of repeating themselves. Amy Winehouse was the last truly big voice who could bring something fresh to every song she delivered. Adele, one of our biggest stars, seems to be treading water and leaves me rather cold. How many modern singers could/or would tackle a song like Barcelona and make it stick?! Montserrat Caballé and Mercury traded vocals and created a rapturous and spellbinding duet. The fact Mercury could legitimately and bravely perform an operatic song – and make it sound real and easy – shows what a talent he was. 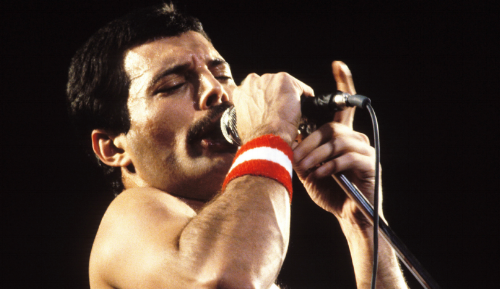 It is the variation and daring of Freddie Mercury that means his legacy endures and he enjoyed such a varied career. Every Queen album provided something different and, whether on his solo album or performing with other artists, showed he was a singer that could handle anything. Mercury is an anomaly in music that has seen nobody get close to his talent. Every world-class singer sees a host of artists try and match their grandeur and majesty. From Aretha Franklin and Robert Plant to Kate Bush – they all have contemporaries who infuse some of their colours into their music. I hear some big-voiced singers but none who remind me of Freddie Mercury. Maybe there are no bands like Queen who have that same pomp, camp and originality. The modern music press would not take too well to a modern-day Queen. They were a bit of an oddity in their day but did have a career that spanned three decades. From their eponymous debut in 1973 to their finale in 1995 – Innuendo, in 1991, was the last album that featured Mercury (Made in Heaven, in 1995, was released after Mercury’s death). There were some truly great albums – Sheer Heart Attack A Night at the Opera – in the early-mid-1970s and an ill-fated embrace of Disco. The band’s greatest hits collections show they made some truly excellent music but they were very much of their time. Music has changed so much that we cannot have another Queen in our midst. A ‘new Freddie Mercury’ would need a band support and, one feels, they would need to be Glam-Rock. That genre is not exactly thriving so one wonders whether we can ever breed someone like him? I think the reason we will not see another Freddie Mercury is a lot simpler: he was a one-of-a-kind that left a huge mark on music. Go watch Bohemian Rhapsody when it is out because it will show where Mercury came from and what he was like behind the scenes – and how he brought people to life when he was in his element (on the stage). I hope the flick does Mercury justice and has been worth the wait. My greatest hope is the film rekindles an interest in his music and tremendous voice.